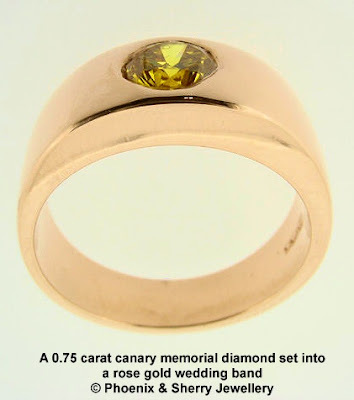 We have found a new idea for memorial jewellery which some customers may find interesting. 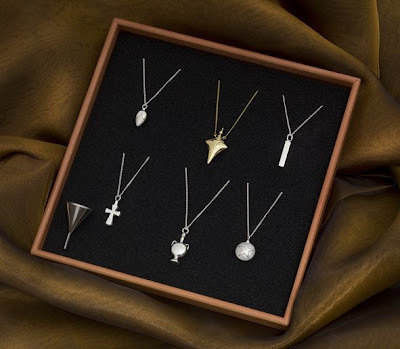 Perhaps a diamond made from Cremains is a little too much for some at £2750, but how about a small amount of your 'loved-one' within a gold or silver pendant? ?......as you can see from the photo, they look like ordinary necklace pendants but each is hollow with a tiny screw stopper. The ashes have to be inserted via a tiny funnel (by us) but we feel it may be interesting to have feed-back from you. Prices??? 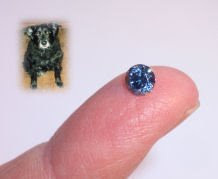 Please call us - 0870 881 0612, leave a comment or send an e-mail to "info@phoenix-diamonds.com"
A dog owner from Essex has had her beloved dog Deefer, a Collie cross Labrador, made into a blue diamond, at a cost of £3,500. When Phoenix Diamonds CEO Mike Kelly delivered the diamond he said he was sorry that she had lost her 'husband' at such a young age. She replied 'It wasn't my husband's ashes, it was my dog Deefer, as in 'D' for 'Dog'. The dog, which died aged 14 and a half, was a much loved part of Bassett's family. "He was constantly by my side and was a peacemaker, pushing my children apart, to prevent a fight," she said. "The jeweller at Hatton Gardens, who is mounting the gem, was stunned that the diamond started out as dog!" she said. 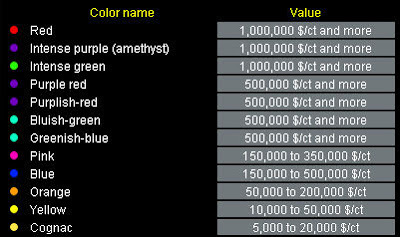 What are coloured diamonds worth? Bizarre as it may seem, RED diamonds seem to be exceedingly valuable - yet they may be confused with Rubies, Garnet and fake gems. Our Blues at £10,950 seem good value???? 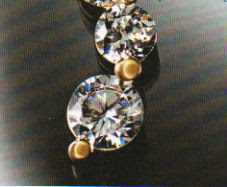 and considering our diamonds are actually made of our a loved-one, partner or pet- very good value in deed. Diamond Aura.....give me a break!!!!!! 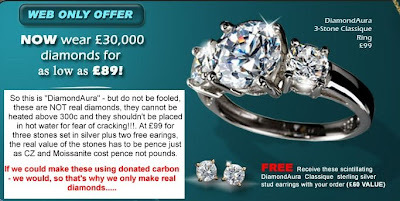 We have to make it quite clear, we have nothing but contempt for anyone ripping off our website name simply to capitalise on our earned Google collateral, by using our trading name or suggesting we have anything to do with cheap imitation diamonds like these. Whatever material they do sell - it is a published fact "DiamondAura" can be bought from STAUER in the UK and the US for peanuts. It should also be noted that these stones should not plunged into hot water for fear of cracking!!!! and jewellers cannot heat them above 300c - BIZARRE. Even IF we could make this material - we would not, for we only make REAL DIAMONDS. How much do ashes and hair weigh? We've been asked many times 'How much ashes weigh?' for sending and converting into a diamond. Half an everyday cup would weigh approx' 100 grams. 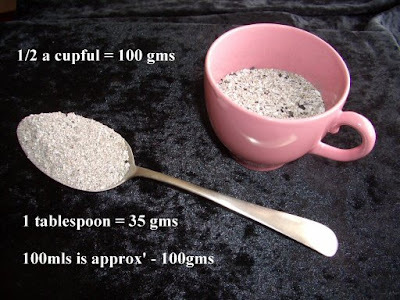 A heaped tablespoon of ashes weighs around the 35 grams mark. 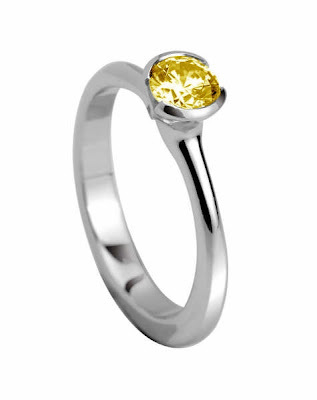 Half a cupful of hair in a firm ball weighs around 25 grams and is usually sufficient to make a 1 carat canary coloured diamond. © NAFD : Funeal Director Monthly : Sept. 08 Vol. 91 Issue 09 p45 - reprinted with kind permission. 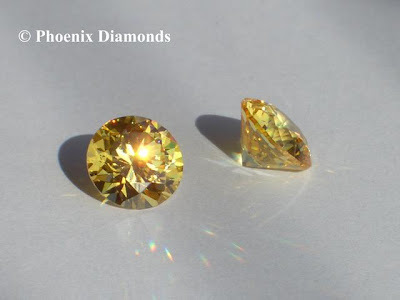 Phoenix-Diamonds.com is part of a group of Internet trading companies established in 2000 in Macclesfield, Cheshire. 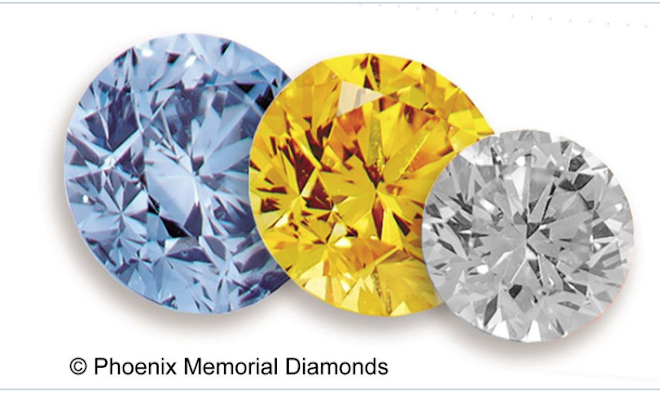 After working as an agent for a major US supplier of laboratory diamonds and becoming disillusioned by the huge prices involved, Mike Kelly began researching the specialist field of man-made memorial diamonds and set up Phoenix-Diamonds once his team could offer increased capacity and a greater range of colours. The process of creating man-made diamonds has been around since the 1950s, when the Russians perfected the laboratory techniques and the published patent was then secured by GE of America, allegedly beating De Beers by just seven days. 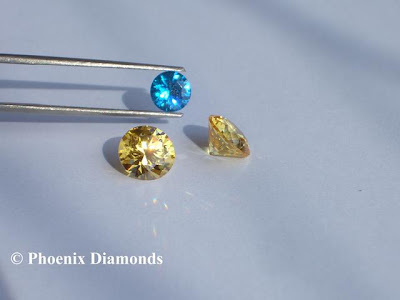 The Phoenix Group employs HPHT (high pressure with high heat over time) to create canary coloured diamonds, but adopts a slightly different process for its new blue range. 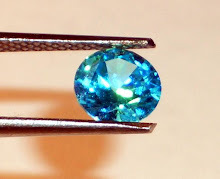 It also manufactures blue/white, amber, green and red diamonds, although pink eludes it – for the time being. 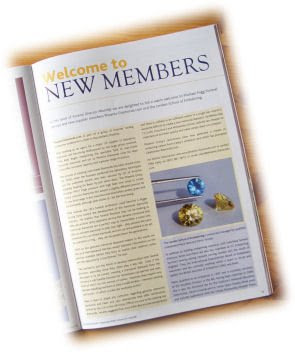 Mike believes the UK’s funeral profession could become a bigger driving force behind the development of the memorial diamonds industry. He realises that funeral directors may not be looking to offer yet another fairly expensive service, but remains convinced that memorial diamonds are a perfect way to immortalise a loved one. Also, as valuable diamonds in their own right – they possess the same characteristics as mined diamonds and are cut and polished to be set as a pendant or ring – they can be passed down the generations. “With so few genuine memorial diamond makers in the world, we feel sure that bereaved families would welcome information on the services available before they bury or scatter their relative’s ashes and the opportunity is lost forever,” he says. Mike is keen to dispel any confusion regarding genuine memorial diamonds and fakes and says laboratories that offer certification (either by the GIA or the UK Assay Office) are sure to be creating real diamonds. He also suggests that, since DNA dies at a low temperature and there is unlikely to be sufficient carbon in a single hair strand, it would be difficult to create a true memorial diamond. 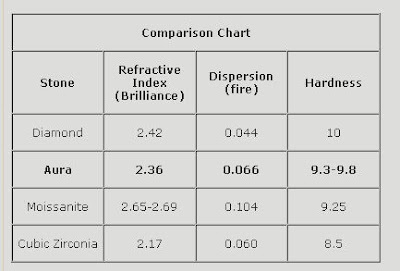 Synthetics like CZ (cubic zirconium) and Moissanite (silicon carbide) are cheaper to manufacture but their quality and value simply does not compare. 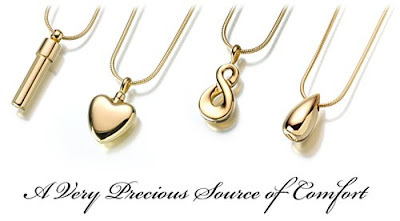 Phoenix Group’s technicians have now perfected a means of extracting carbon from a baby’s umbilical cord, which has prompted Celebration-diamonds.com. Having made dozens of 'Memorial Diamonds', I was chatting idly to my laboratory technicians about 'what else can we make diamonds out of'? Apart from the ashes and hair, the lads suggested both hoof and horn but surprisingly the umbilical cord of a baby, which apparently is rich in basic carbon and may be able to be used. With this in mind, I spoke to the editor of Funeral Service Times who was willing to write a feature story mentioning this idea and a request for a potential donor. Not only did I receive a call from a potential donor - a funeral director whose wife had suffered neo-natal deaths in the past and who was now pregnant again - it turned out that his practice had actually cremated all of my Aunties, Uncles and Grand Parents over the past years. We agreed to keep in touch. Jessica was delivered on the 27th of January 2008 at just 4 lbs 11ozs - thankfully alive and well - though the situation was very delicate to say the least!!! We collected the frozen cord and kept it frozen for a while whilst taking advise from the lab'. It was eventually treated [sorry, can't disclose how] to become pure carbon. 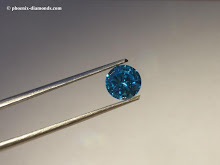 The lab' then used this carbon in our usual process when making blue diamonds - though with this 'world first' we all had to take extra special care. The HHHP process we use, runs under a pressure around 10,000 tons per square inch at temperatures of 1300c for a calculated long period of weeks - almost under constant supervision. Eventually the raw crystal emerged and the cutter with many years experience chose the clearest section from which to cut the biggest clear diamond possible. After polishing we now have a 0.5 carat Aqua Blue brilliant cut diamond which was almost flawless, icy blue and very clear. During this lengthy wait, we were all under 'tenter hooks' as so much could have gone wrong, but thankfully all has turned out well. 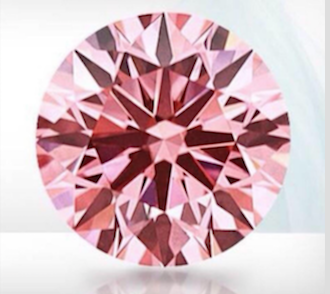 The donors called to ask if we could name the diamond - and so we have - The Jessica Diamond, first in the world.. Costs?? 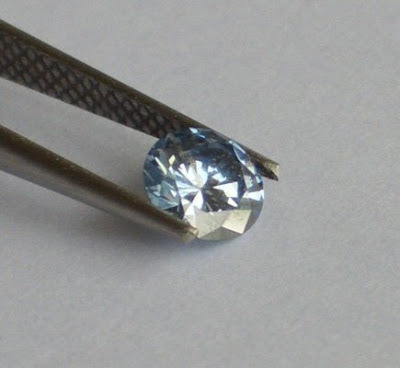 Disregarding the initial development, we calculate we may be able to make more diamonds, probably around 1/2 carat in weight for between £5000-£7500, however, we will not be able to predict the exact size or the exact colour blue until we have made a few more. Although we do not deal in natural diamonds, we have a dear friend who we would like to help sell a beautiful 1 carat radiant cut diamond set in a 9.7 grams of platinum. 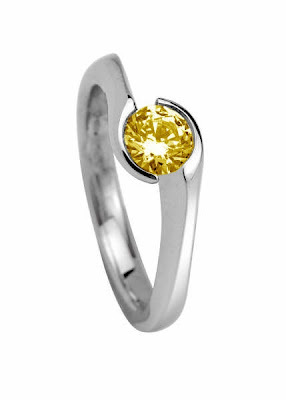 The finger hole is 10.65mm and would make an ideal engagement ring or present. The ring comes with a case, certificate and report and a purchase reciept for £5400. The almost square cut white diamond measures 5.4 x 5.25 mm with clarity SI1 in a 4 claw setting. Radio 4 - You and Yours feature in "synthetic diamonds"
Just to put the record straight. Of the three laboratories mentioned in the Radio 4 program (You and Yours, Monday, 26th May) only LifeGem make 'memorial diamonds' the other two Gemesis and Apollo do not (allegedly). 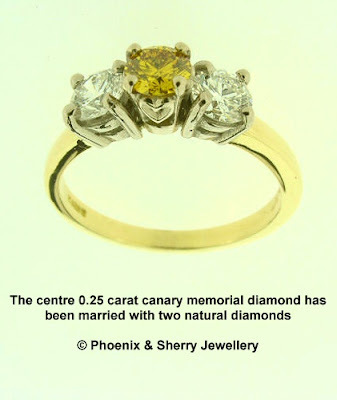 Phoenix Diamonds are UK based and one of three others in the whole world who only make 'Memorial Diamonds' but we are not connected in any way to any of those mentioned. 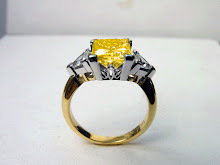 The program also refers to lab' created diamonds as "synthetic", this word infers in some ways that they are inferior to natural mined diamonds - our diamonds are real diamonds and can be certified by 'AnchorCert' the Birmingham Assay Office. Terminology is a huge tin of worms and is being highly disputed all around the world as what to call 'created', 'man-made' or 'lab-grown' diamonds. De-Beers have always been derogatory towards 'created' diamonds though strangely enough were beaten to the patents by just 7 days against General Electric who won in them in the 50's (allegedly). It also may be true that gems can be grown in just "4 days" - probably in a factory production line process, but we have a very labour and technically intensive scientific process just to prepare the carbon for the same HTHP process in a single unique diamond production. This blue diamond was made from the ashes of a much loved mutt rescued from the Battersea Dogs Home. Can we make diamonds from DNA? We have been asked "Can we make a diamond from DNA extracted from hair". The short and blunt answer is "NO". As far as our chemists are concerned "DNA is destroyed at 600 degrees centigrade" and I personally know for sure that DNA prep' equipment is regularly cleaned with both bleach and gas flames to remove all traces. 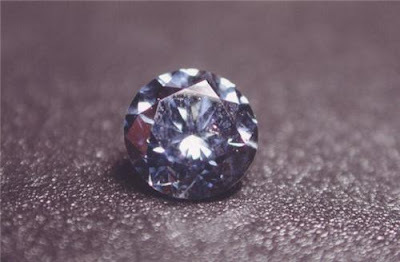 It is certainly possible to make a diamond from hair, but to make a diamond from one or two strands of hair (the carbon residue that is) would result in a diamond containing almost minute proportions of the hair as to be indistinct from any other carbon source - even a pencil lead. If any scientist or DNA expert can tell us otherwise, we would be interested to hear from you. 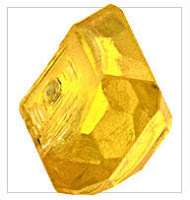 Can we supply a raw diamond made from ashes? We've been asked a few times if we can supply the raw diamond crystal made from the ashes of a loved-one, well we could I suppose, but what would be the point? The idea of cutting and polishing diamonds is to capture the flashes of fire, the scintillation of light which diamonds do so well. You may as well encapsulate your ashes into glass, it would be cheaper and probably more suited. So I think we have to decline from even going there, after all 'fancy' diamonds arre so valuable in any case, it would be a shame to make a diamond out of a loved-one and then present it a just a rough crystal. Better to cut and polish it to allow it to shine and last forever. Marriage of partners, a pair of identical gems. Thinking of a 'Civil Partnership'? 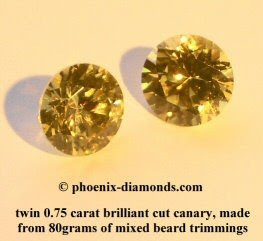 Our new website www.celebration-diamonds.com offers to blend/combine/marry two amounts of beard trimmings or hair, extract the carbon and make two absolutely identical 0.75 carat (6mm round) 'Brilliant' cut canary diamonds, to be mounted in identical gold bands. 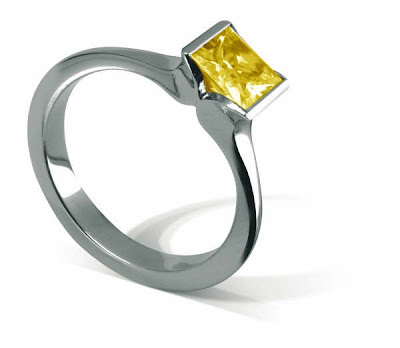 We are pleased to offer Sherry Jewellery in Lincolnshire, as independent designers for bespoke commissions, Ruth and Chris' are experts at settings which not only secure the irreplaceable memorial diamonds, but also show them off to their full fire and sparkle. On beauty from a recent batch made from 'Cremains. 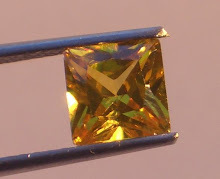 Brilliant cut with 58 facets. The cut used gets the best light return and offers scintillation which cannot be surpassed. 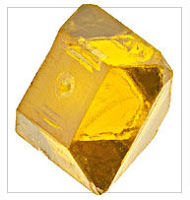 This is a 1 carat canary yellow real diamond made from 'Cremains - just 100 grams, however it took 10,000 tons per sq.inch and 1300c for a few weeks. 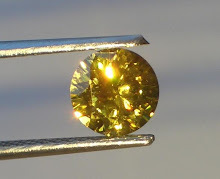 Then from the 3 carat crystal it was cut in the ubiquitous 'brilliant' cut (which has 58 facets) - not too deep and not too shallow to allow the light to pass in and straight out but split into all the colours of the rainbow. For all those customers that have asked if we can make rings and settings for them, we are pleased to be able to offer D. J. Massey of Cheadle Village, Cheshire, they have suggested four ring styles which can capture the irreplaceable diamonds we supply. We were almost as amazed as you are now when we learned from our lab' technicians that the umbilical cord contains more carbon than even ashes or hair. They had shocked us initially stating that the human nails, animals hoof and horn can be used to grow the diamonds, so as we haven't actually made any diamonds from an umbilical cord, we look forward to further experiments. UPDATE : We now have a donated cord - which fortunately is from a new born healthy baby, so we will not be calling it a 'Memorial Diamond' it is much more like a 'Celebration Diamond'. The process has begun and we will keep you posted. 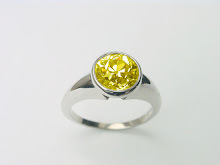 As from January 2008, we are pleased to be able to offer a new range of 'fancy' coloured diamonds, in the ranges of Aqua Blue, Topaz Blue, Vivid red and of course we still make the Amber and Canary coloured diamonds. 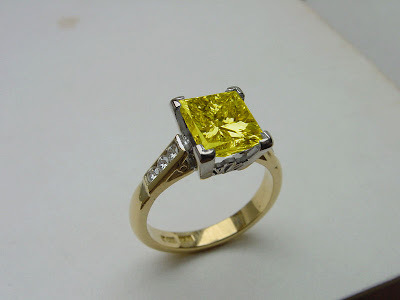 The 'Fancies' use a new process but whereas where we use 35-40 grams per carat for the yellow range, for the blues and fancy colours need to use 500 grams. 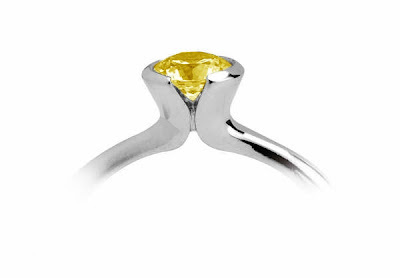 The costs are reflected in the extremely high-tech process and the length of time it takes (over 3 months) at £9985/carat. The Fantastic Funeral Company is a new concept in planning and preparing for the end of life. Our focus is very much about celebrating life and recognising that because everyone is individual, they may choose to depart from this life in a less sombre way than tradition has dictated in the past. The Fantastic Funeral Company gives everyone the opportunity to take control of all aspects of planning and preparing for death. We know from experience that lack of planning and consultation can have devastating effects on the remaining family and friends. During our research process we spoke with many people about death and dying, listening to a large percentage of people who talked openly and frankly about their own funeral wishes. Many expressed relief, stating that we are a much needed company as they had attended funerals that didn’t portray their loved ones as they had known them. With this in mind, we have produced a ‘Wish List’ which is a comprehensive end of life and funeral planning document. We also provide a full consultancy service. 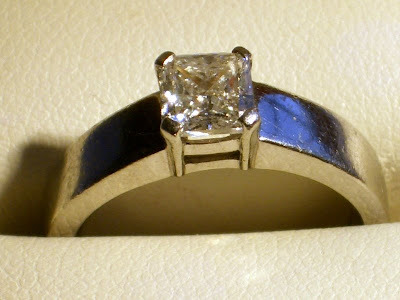 1 carat natural radiant white diamond set in platinum - certified and valued at £5400, private sale at £2,950. Full report and sales receipt. Our website number 0870 881 0612 has been in existence for over 10 years. It has been used on all our websites simply because when chosen it was a programmable divertable number when reception closes at 5.00pm and not open on weekends. Why are we called "Phoenix Diamonds"? In short we love the inference, for although we are not rising from the ashes - our diamonds are virtually doing that. The Phoenix is a mythical bird having beautiful gold and red plumage. At the end if its life-cycle, it builds a nest and both nest and Phoenix are consumed, but then rising from the ashes a new young Phoenix emerges.....and so, our diamonds rise from the cremation ashes of a loved-one to sparkle and shine forever.